Disney Star Wars Yoda Z Table, 28" x 16" x 16"
May the force be with you! 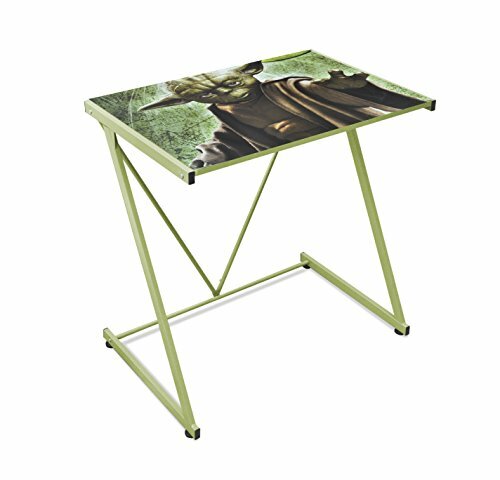 The Star Wars Yoda Z Table is the perfect accent piece for any fan of Star Wars. The table is mid-sized, perfect for studying and doing homework or simply as a side or end table. The top is composed of MDF and printed with bright graphics of our favorite mentor - Yoda. The metal frame is Z-shaped, adding a modern and unique touch. The Z table is easy to assembly. Spot clean only. Dimensions: 28" H x 16" W x 16" D.